On Saturday night, Salt Lake Community College welcomed College of Southern Idaho, the No. 15 ranked team in the nation, to Bruins Arena. 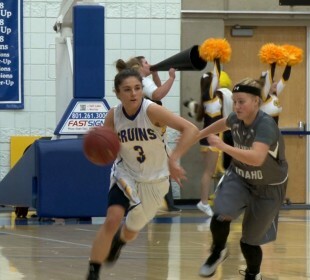 A very rowdy crowd came prepared to help the Bruins “Defend the Den” as SLCC cruised to a conference victory, 85-59. 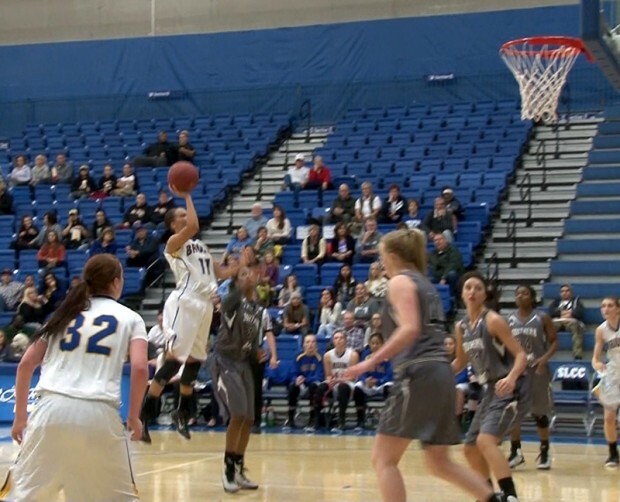 SLCC started the night off on fire, as the Bruins only missed nine shots in the first half of play as they led 53-26. After their hot start in the first half the Bruins kept the momentum going as they came on to the court to start the second half as they lead by as many as 30 points and was very pesky on the defensive front throughout the game. The Bruins had five players score in double digits on the night. Cassidy Whitney dropped 14 points, Clarissa Sabedra posted 17 points, and Shelby Richards and Raushan Gultekin combined to score 27 points. Elsa Paulsson Glantz also totaled 17 points and collected nine rebounds off the bench. The Bruins will look to continue their success on the year and turn their attention to Colorado Northwestern Community College on Thursday, Jan. 15 in Bruin Arena. Tip-off is scheduled at 5:30 p.m.
SLCC is 5-1 on the season at home and 16-4 overall. Make sure all SLCC students come out and “Defend the Den” as the Bruins look to continue their chase to a conference championship.